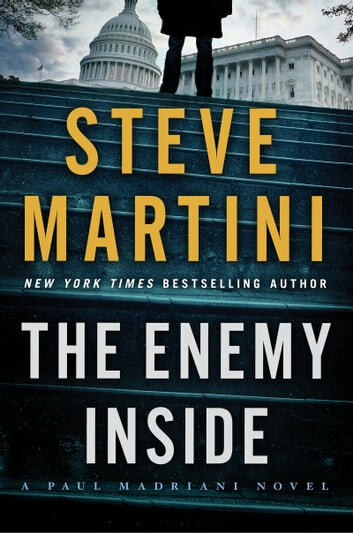 Defending an innocent young man, defense attorney Paul Madriani uncovers a morass of corruption and greed that leads to the highest levels of political power in this electrifying tale of suspense from New York Times bestselling author Steve Martini. One of the most successful lawyers in the country, Olinda Serna is a master at managing money as well as her influential clients. After years of fierce combat in the political trenches, Serna knows all the dirty secrets, where the bodies are buried, and how deeply they are stacked. When she’s killed in a roadside crash in the high desert of Southern California, powerful heads in Washington begin to panic, worried that their secrets may not be safe anymore. Alex Ives, a friend of Paul Madriani’s daughter, is accused of vehicular manslaughter in Serna’s death. Ives claims he had only one drink on the night of the accident, yet he can’t remember anything between the time he left for a party north of San Diego and the moment he woke up in a hospital the next morning. He’s still dazed and a little bruised, but also obviously very afraid. After all, a woman is dead, and he’s sure he didn’t kill her. To save an innocent young man’s life, the brilliant defense attorney must uncover everything he can about Serna and her clients—no matter how unsavory—a search that will lead him into a vortex of corruption, and at its center, a devious killer poised to strike again. Great book, as are all of Paul Martini's books. The suspense grabs you from the beginning and doesn't let go! It's been a long time since the last book in the Paul Madriani series but it was well worth the wait. The storyline was fascinating and very relevant. I read on the train on my way to and from work and I really didn't want to put it down. Intriguing tale of the intertwined world of international business and politics. Well developed plot, timely too given recent attention to compliance legislation. Really really enjoyed this book! Along with suspense there was some very interesting history information that I had no idea about. Our favourite lawyers - Paul & Harry - can't resist doing a favour for Paul's daughter Sarah which leads them on a path that could cost them their lives. No matter where they turn there are more twists as they try and clear their client of a charge he can't even remember being involved in. An excellent read that will keep you guessing right to the end.